Lawmakers in 39 states are proceeding with legislation aimed at limiting off-highway vehicles on public lands, saying their use has grown out of control in the absence of effective federal curbs. Off-highway vehicles, or OHVs, have boomed in the United States. In the latest national survey, the Forest Service in 2004 found about 51 million OHV users, a tenfold increase over the 5 million rough riders counted in 1972. The response of state legislatures: 78 separate state bills addressing OHV use filed over the last two years, with 20 becoming law. Most proposals have sought to increase fines for OHV users who destroy property and natural resources, while others try to impose new safety standards and programs for reclaiming damaged lands. A bill that passed this summer in Arizona, where OHV has grown 347 percent in the past decade, established a $20 annual user fee, with proceeds going toward beefing up off-road law enforcement. The fee will also pay to restore damaged trails and grasslands and provide education on land management. While OHV use is most commonly associated with the West, research by the advocacy group Responsible Trails America shows that legislatures in Florida, Illinois and New Hampshire have also taken up off-road bills. And there are five OHV-related bills in New York alone, including a proposal for a $20 user fee similar to Arizona's. The research shows just how extensive this problem is, said Harrison Schmitt, the group's executive director. It's not a Western problem, it's a rural problem. Daniel Patterson, an ecologist and Southwest director for Public Employees for Environmental Ethics, said the rise in state legislation shows the growing impact unmanaged OHV use can have on natural resources. They can run roughshod over vegetation, disturb wildlife and inflict extensive damage on private and public land because overburdened federal and state land agencies can't manage the problem. There's certainly a frustration that feds are not doing enough to manage OHVs, but there's also an important role for the states to manage the issue, he said, noting that most OHV trails traverse both state and federal lands that require collaborative enforcement. Larry Smith, executive director of Americans for Responsible Recreational Access, said his group has no problem with states developing OHV regulations, but he maintains that developing consistent regulations at the federal level is most important. He said several national parks and other federal lands have taken their own approaches to management and enforcement, causing confusion. The Forest Service and the Bureau of Land Management are working on national plans that aim to define where and how OHVs can cross public lands, he said. Once we're on a designated trail system, a lot of problems that happened before will go away, Smith said. The Forest Service manages more than 300,000 miles of roads and 35,000 miles of trails for motor vehicles, while BLM is responsible for 258 million acres. During two congressional hearings this year, lawmakers questioned whether either agency was doing enough on OHVs. 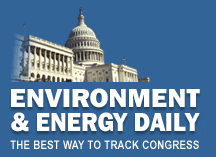 It seems to me that neither agency has been able to successfully manage off-road use, Senate Energy and Natural Resources Chairman Jeff Bingaman (D-N.M.) said at a June hearing. In some cases, it appears that plans are not being enforced, while in others, it appears that the agencies are simply ignoring unregulated use, with significant consequences for the health of our public lands and communities and adverse effects on other authorized public land uses. For their part, the agencies said limited funding and staff were hindering their efforts to draw up OHV plans. While the Forest Service is due to wrap up its OHV plan at the end of next year, it could be more than a decade before BLM finishes its travel management plans. BLM's problems stem from its reliance on field offices to establish their own travel routes and restrictions while they amend resource management plans, a process that expected to take years to complete, BLM's trails and travel management coordinator, Rob Perrin, said. Given the different patterns of land ownership and the varied amount of use across the country, there really isn't an interest to having one cookie-cutter approach [to management] for all states, Perrin said. But Brad Powell, acting director of Trout Unlimited's Public Lands Initiative, said that the federal approach is prolonged and ill-conceived and will do little to curtail abusive OHV use. While the states are right to take the lead on the issue, Powell said, the federal government must reassess its strategy if change on a national scale -- which he hopes will come with the new administration -- is going to happen. For now, Powell said Trout Unlimited and other groups will encourage more states to consider OHV legislation while pushing Congress to implement changes at the federal level, including increasing funding for law enforcement. Both proponents and critics of OHV use agree that law enforcement efforts need additional support. In Nevada alone, BLM, the Forest Service and the National Park Service are in charge of managing at least 48 million acres, but the three agencies combined have only 28 uniformed officers and five special agents. Federal officials say they compensate for their lack of enforcement officers by entering partnerships with local and state law enforcement agencies. An updated California Off-Highway Motor Vehicle Recreation Program, which Gov. Arnold Schwarzenegger (R) signed into law last year, increased the amount of funds available to law enforcement while also increasing penalties for reckless OHV use. Those funds, combined with revenues collected from a vehicle registration program, will go toward increasing law enforcement and trail restoration, an idea some conservationists say the federal government should follow. The states have been progressive and are starting to move forward, Powell said. The federal agencies are going to have to catch up.